Our well-fed wolf has a beautifully detailed coat of fur. 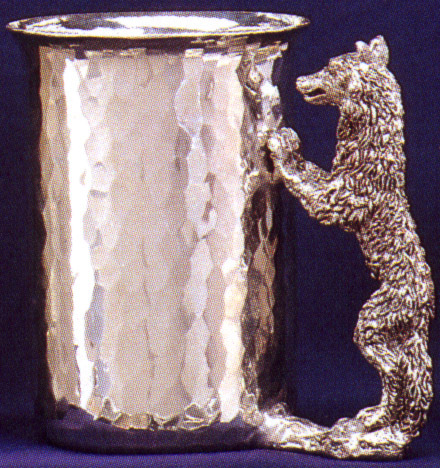 Between his front paws and his chin is the perfect place for your index finger, giving this Pewter Stein a very comfortable grip. We make it from lead-free pewter so it's suitable for all cool liquids. It holds 22 ounces when filled to the brim.